GREAT STARTER HOME OR INVESTMENT PROPERTY. 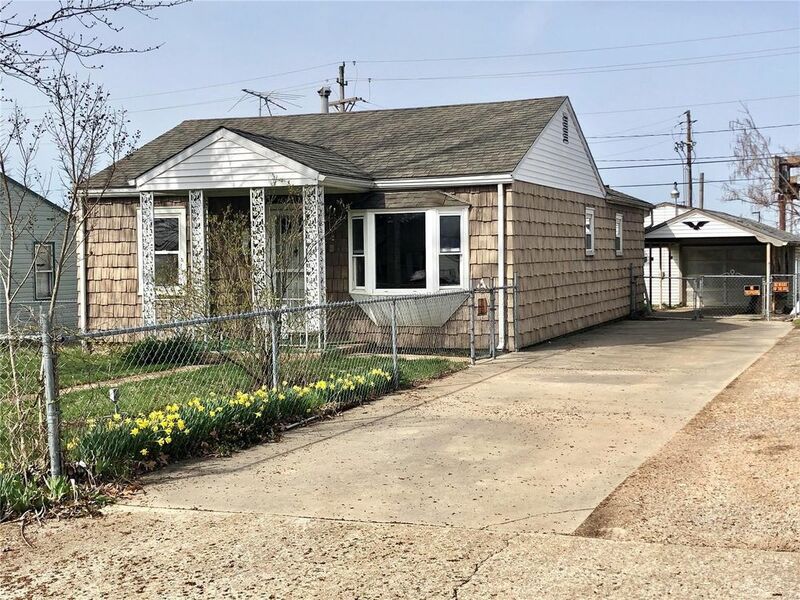 THIS CUTE 2 BEDROOM BUNGALOW HOME HAS A NEWER CENTRAL HEAT & AIR UNIT, NEWER WINDOWS, CABINETRY, AND SHINGLES. CHAIN LINK FENCED IN FRONT & REAR YARD. APPLIANCES, A VERY LARGE MASTER BEDROOM. UPDATED FULL BATH. BREAKFAST ROOM. A DETACHED GARAGE WITH MAN-CAVE EXTRA LIVING SPACE PLUS A CARPORT. GREAT LOCATION EASY ACCESS TO SHOPPING.